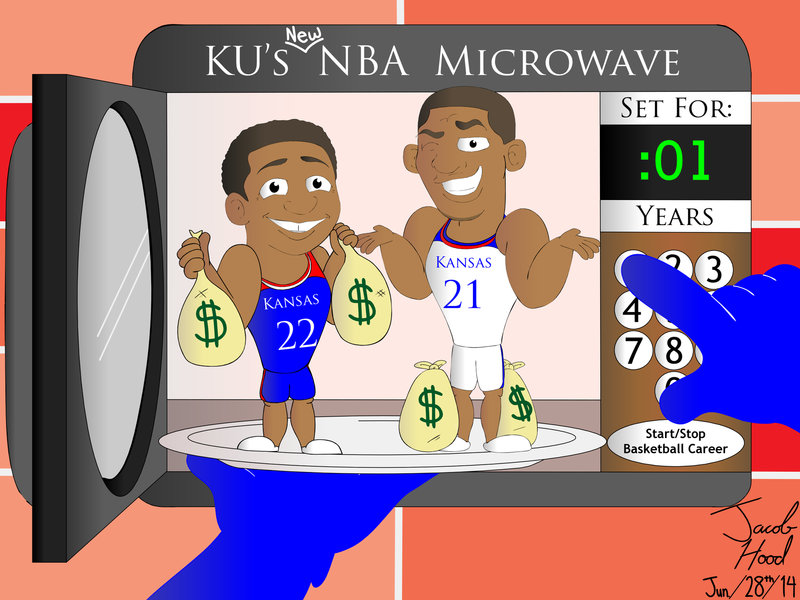 A metaphoric microwave, illustrating how the "college" in college basketball only lasts about a year now adays. Featuring caricatured Andrew Wiggins and Joel Embiid. A Jacob Hood comic/Kansan cartoon.